This next car comes as a tip from Scott T who writes: Have you ever wanted to pick up someone else's project after they've lost interest? Do you love putting together lego sets with no instructions? Then this is the van for you friend! This looks like the seller methodically removed every non driveline part. It's not blooming in New England yet, so those pics probably aren't from this year. On the plus side, it's a non rusty east coast westy and you don't even have to lift a carpet to inspect it. The Go Westy bumpers the seller has are about $200 for the basic kit, but he might have the heavy duty version, which with the hitch is almost a grand in parts. 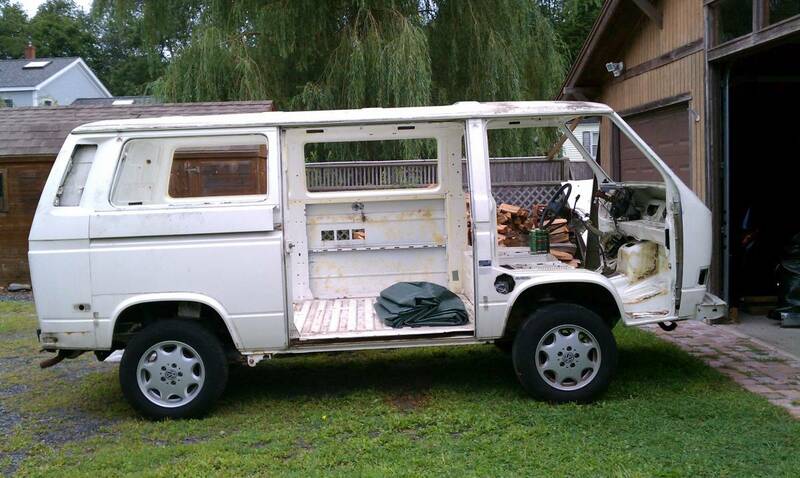 Find this 1987 Volkswagen Westfalia offered for $7500 in Boston, MA via craigslist. Being sold for restoration. 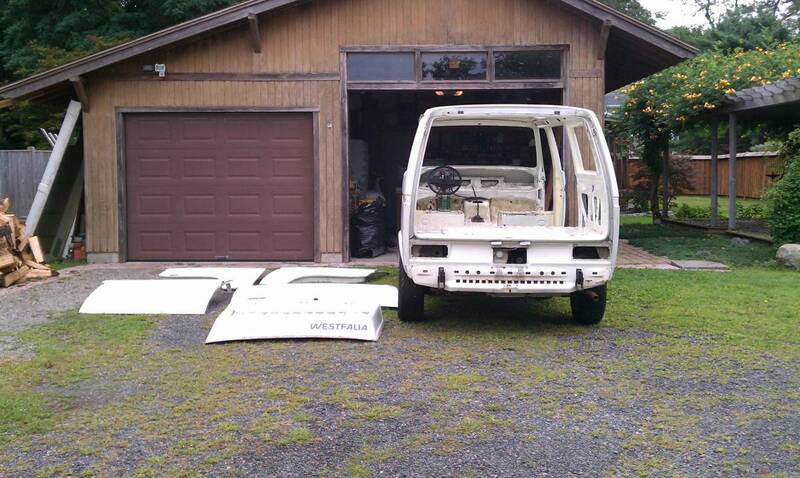 Very little would need to be complete the restoration and get the van back on the road. Reasonable offers will be considered. 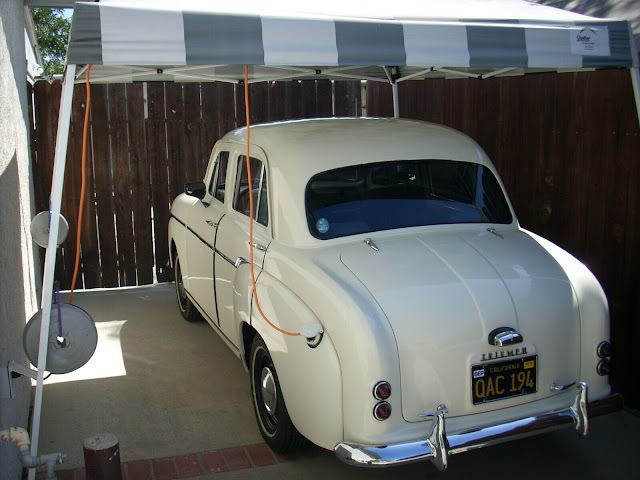 - Originally from CA and shipped out in 2003. No rust, aside from a little where the sink mounts. - Vehicle has been disassembled and is ready for restoration. A complete set of pictures taken during the process are available. Please note that I am not looking to part the van out at this point. "Crack pipe"...even speaking as a Westy owner. I've dumped piles of money into my 88 weekender. This is hard to make sense of at the the price he's asking. As rust free as he claims (and it appears to be), he should have left it in one piece and the price wouldn't be to bad. Right now it looks like a parts car, or a complete custom build (I'd do a high top), but priced way to high for that. Wait... I previously missed the salvaged title. Is there any reason to strip it this far other than preping it for a glass out respray? What, you never tried crank? Im pretty sure if I gave my two boys a tool box they could turn any car into this. Had a Westy down farther than this for paint and refresh. I sympathize with them giving up. If it were mine I would finish it. If it were someone else’s I would refuse it even if they gave it to me or use it for parts. So much is unknown. Okay, what is it about this that attracts so many Scotts? Vanagons/Buses are like Range Rover Classics.......completely and totally horrible vehicles that I just can't get enough of. I heard another Vanagonout refer to them as to complicated for their parts.